Watch the Singlespeed A and B categories spin around Spring Lake Regional Park for the second race of the 2011 Santa Rosa Cup Cyclocross series. 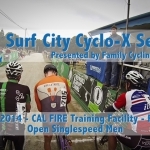 This course was built for speed but with a mix of technical to keep everyone honest. The footage begins with the A racers blasting off on the first lap. Then 3/4 way through it transitions to the third lap and the B leaders charging back up towards the start/finish. 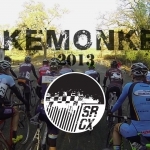 Real fun course, great event, and something to look forward to for next season.